Nottingham Trent University introduced its Nottingham Trent Students’ Union Honorary Award in 2015. 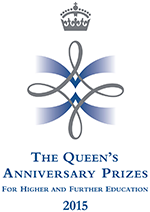 The award is presented to recipients who have either made a major contribution to the work and development of the student body, the Union and/or its collaborative institutions or have earned national and/or international distinction in activities associated more widely with student representation, popular culture, the City of Nottingham or learning and teaching. Nominations for the NTSU Honorary Award are put forward by the Students’ Union President following consultation with the SU Executive. At the age of nine, Laura Bassett’s career began with Bedworth Girls Football Team. By the time she was at university she was being flown to play for New York Magic in America – a country where women’s football is arguably bigger than the men’s game. 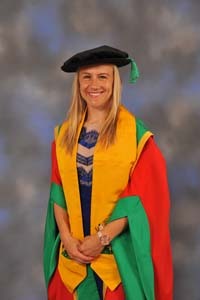 Since then, Laura has earned 50 caps for England and now represents Nottinghamshire as a Notts County Ladies player. Laura’s career has been paved withhighs and lows, from securing a 2-0 win over Japan in her senior world cup debut in 2011, to four years later when, as England captain, her team was knocked out of the tournament. Laura’s ability to dust herself off and win the third place play off against Germany should serve as a lesson in resilience to all students. She embodies everything that is best about this burgeoning sport, not just the huge positive impacts that it can bring to society but also the impact that can be made by an individual within, and through, the sport. A versatile music broadcaster and DJ whose career took off in Nottingham. Peter Dalton was born in Nottingham in 1983. 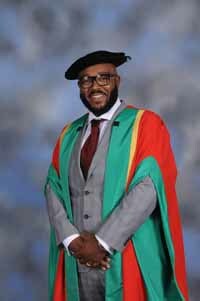 The performer MistaJam emerged some time later and is now an award-winning presenter on BBC Radio 1, and a multi-genre DJ in clubs and festivals. Peter grew up amid music and entertainment, listening to his parents’ collection, playing drums in a school band. From the age seven to 20, he attended the famed Television Workshop but his real aspiration was to be a DJ. At 14, he was invited to demonstrate his skills on the decks to hip-hop presenter Tim Westwood in the Radio 1 London studios. Greatly encouraged, he developed his talent, joining Radio 1xtra in 2005 and Radio 1 in 2009. His club and festival appearances include fabric in London, Space in Ibiza, and Glastonbury.